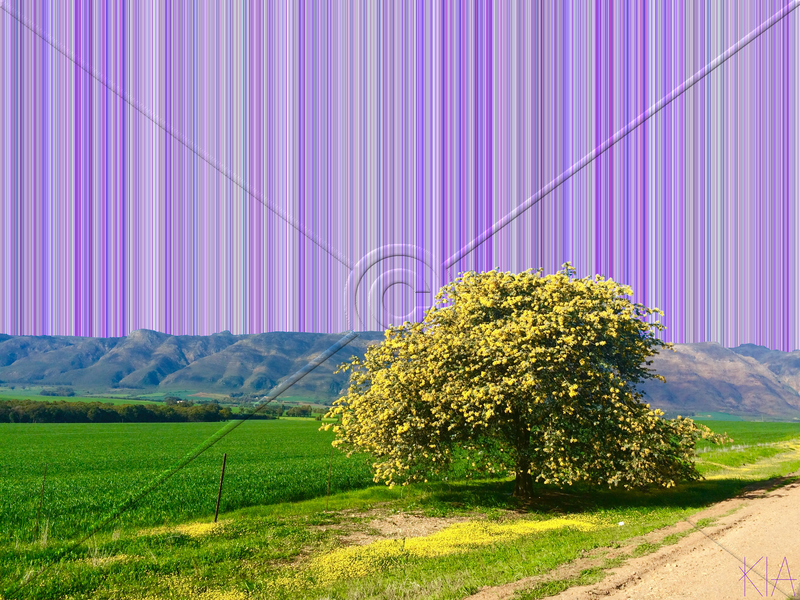 I came across this beautiful scene on a trip north of Cape Town,with Lauren, between the towns of Piketburg and Porterville. The Green fields and the yellow flowers both on the tree and the ground cover provide an amazing picture that made us stop. The drive up took place on a Sunday in order to discover more in our beautiful Country. On the drive up we also stopped at the Desert Rose Farm Stall, which was recommended by Dunn’s Castle (a Guest House I called asking about Sunday Lunch). The Farm Stall is great but it was quite busy and a little early for lunch. The two towns are rather small and quaint. I will give more detail in terms of the towns with the Striated skies that are still to come depicting the two town churches…. so look out for those. It seems to me that no matter where you go in South Africa you can find something of natural beauty and I therefore recommend that people go out there and explore. 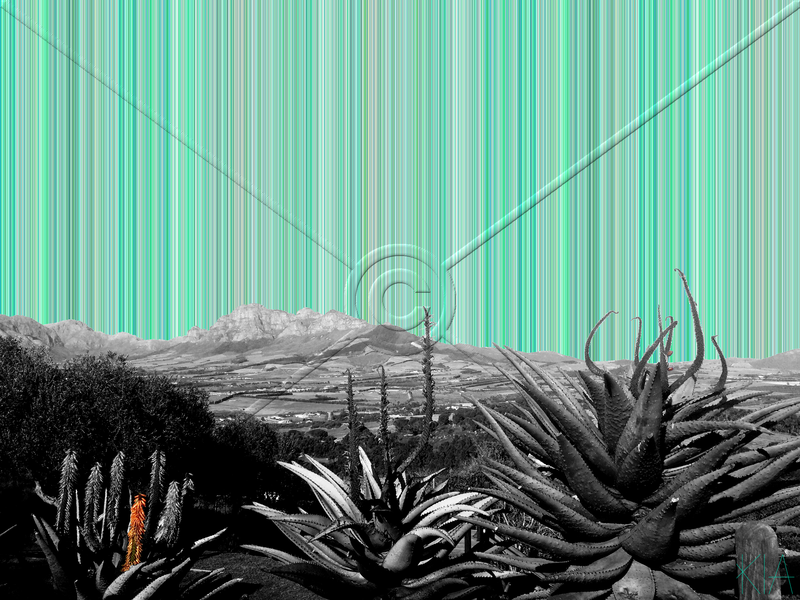 Back to Stellenbosch we go for this weeks Striated Sky. The building pictured; the Theological Seminary, 171 Dorp Street, Stellenbosch is another of the dozens of heritage buildings that are to be found in the picturesque university town. The current facade of the building was completed in 1905 but this site has a history that is filled with interesting stories and tragedy. The site on which the Seminary stands was an island in the Eerste River and the spot where Simon van der Stel has camped on the night of 6 November 1679. It is the site of the first building in Stellenbosch, the drosty which was built in 1686/7 and housed the Court and home to the magistrate. It was in fact the magistrate, Samuel Martini de Meurs, who whilst attempting to light his pipe in a howling south-easterly wind, caused the first fire to destroy the building in 1710. The building, which was rebuilt burned down again in 1762 and in 1768 a flood destroyed some of the building. In 1768 it was converted to an H Shape building and in 1770 due to deepening of the river, the northern branch of the Eerste dried up and was filled in. In 1828, local government was abolished and the building stood empty for 12. In 1853, it was bought by some villagers and ceded to the Church in 1859 with the inauguration of the Theological Seminary. In 1868, Carl Otto Hager added a second storey to the building. In 1905 additions were added to the Seminary and the façade was changed to the present appearance with a predominantly eclectic approach with strong French influence. The building is stunning and it would be amazing for someone to build a virtual tour of the changes that have taken place on the land over the years. 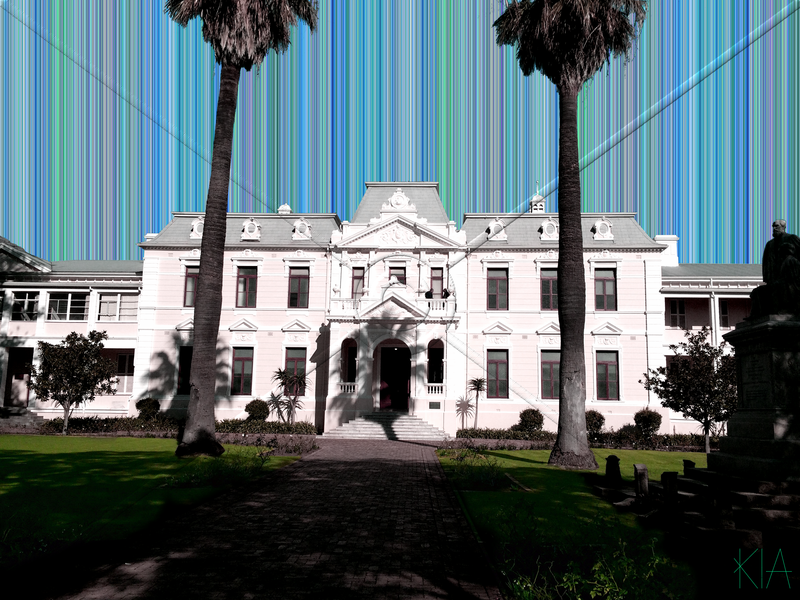 You must take a look at this building while you walk the streets of Stellenbosch on your next visit. There is so much to learn and I hope that this will wet your appetite. The Taal Monument (Afrikaans Language Monument) can be found on the Mountain above Paarl. It gives you a history of the Afrikaans Language and is a monument to the language and its origins. The view from the monument is stunning and you can have an awesome home cooked style breakfast or lunch at the Volksmond Coffee Shop. This is an absolute must go to spot if you are in the area. The views are absolutely stunning and it is worth the R20 entrance fee. The monument i s 40 years old this year and and developing a new website for the occasion. For more information you can view their Facebook page. All sorts of events take place at the monument, from concerts and full moon picnics to trail running events. 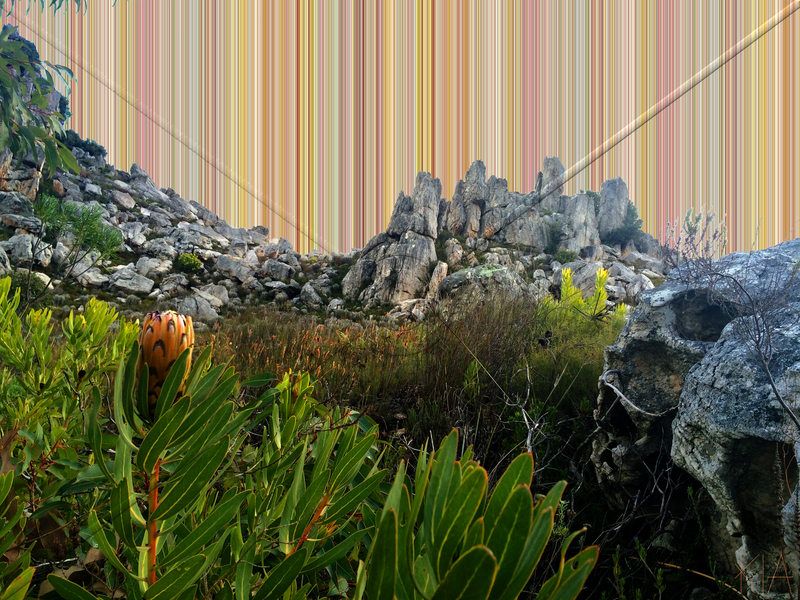 If you take a drive up to the monument then I suggest that once you are done take a drive along the Jan Phillips Bergpad to the Paarl Mountain Nature Reserve. The views are stunning. Please note that you do need cash in order to enter the nature reserve so check here or call to confirm the amount. When you are in the Paarl area on your wine tasting adventures and discovering what the Cape has to offer make sure that you put this on the to do list. The Bloemhof School Building was declared a National Monument in June 1976. As the Government Gazette article says the building is an outstanding example of the “eclectic” style of buil ding in the late nineteenth and early twentieth century. The building opened on June the 2nd 1907. Bloemhof Girls School moved from this location in 1960, it is currently the only Afrikaans girls high school in the Western Cape and has over 700 pupils. 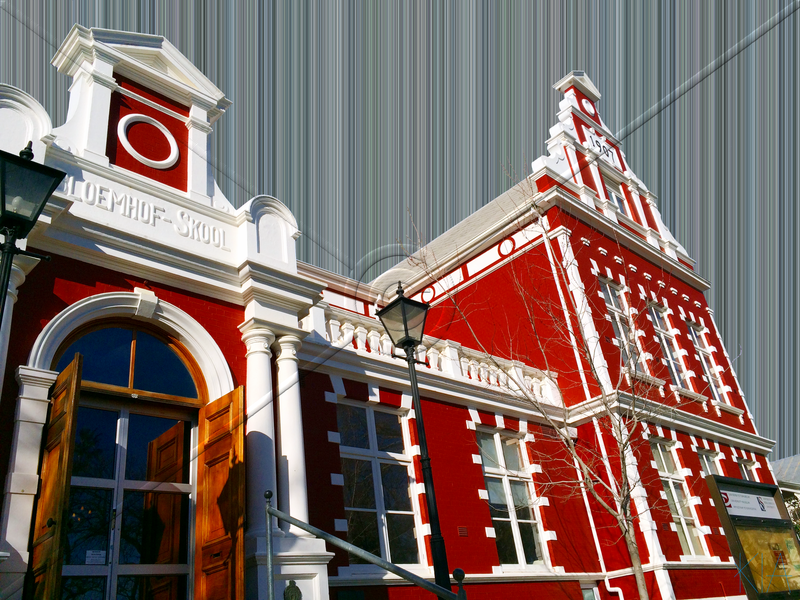 The building is currently home to part of the Stellenbosch University museum and houses the Sasol Art Museum (the rest of the Stellenbosch University museum is housed in the First Lutheran Church building at the corner of Dorp and Bird Streets). Stellenbosch is the second oldest European settlement in South Africa and thus has a number of buildings that are of historical significance. The list of heritage sites is very long and interestingly enough there are oak trees on the list. As I said there are a number of beautiful buildings and I know that more of them will be part of this collection. You must take a trip to Stellenbosch when you are in Cape Town. There is so much to do and I am sure that I will explain more with posts to follow. This is the 30th Striated Sky for the year. 2015 is already in August and this marks me living in Cape Town for one full year. This is the last of the Steenbras pictures. I felt it was important to do more than one in a row as the area was really beautiful and people are ordinarily not allowed in, something that will hopefully change. Hope you enjoying the pictures that I am putting up and hopefully once I reach 52 I will be able to get them all printed.